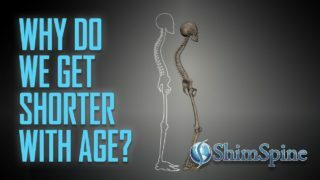 Spine technology continues to evolve, despite the background debate on the cost and efficacy of spine surgery, in general. Since the early 200o’s, the spine surgery community has been closely scrutinized by the government, and the payers of spine surgery services. While still being debated, there is no question that the utilization of the lumbar spinal fusion technique has seen a significant increase in the US. Unfortunately, for all that additional surgery, there is very little data to support any improvement of the general health of the population. Basic questions are still to be answered. Does lumbar spinal fusion improve the outcomes versus simple discectomy and decompression? When do patients with spinal stenosis also improve their outcomes when decompression is coupled with fusion? 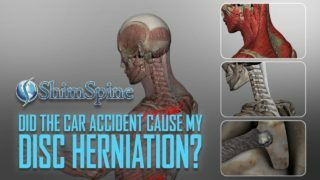 When selecting lumbar fusion techniques, which ones are effective? 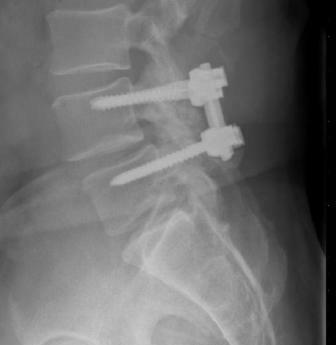 When does utilization of cage devices in front of the spine improve the general outcome of the fusion? Do artificial disk replacements in the lumbar spine provide a predictable alternative to fusion? Can our society justify the cost of spinal fusion for certain patient populations? Obviously, these questions are being asked, but the attempts at a clear answer to most of these questions often are biased by the “questioners”, or the “answerers”. The cynic will answer ” the insurance companies, and the government will prove that spinal fusion is not necessary”, while “the surgeons and the device manufacturers will demonstrate the great improvements of function resulting from spinal fusion”. I suspect the truth is somewhere in between. So, what do we know? Let us assume the patient has exhausted non surgical treatments, and has healthy enough physiology to withstand the anesthesia, and positioning required of the surgery. 1. One and two level spondylolithesis with evidence of instability, and stenosis. 2. Lumbar fusion works for multiple recurrent disk herniations at the same level. 3. After necessary aggressive decompression, which necessitated destruction of a whole lumbar facet joint, fusion prevents development of instability. 4. Gross instability defined by radiologic parameters, including increasing translation on flex/ext views, or angular instability on these same views can benefit from stabilization. 1. Smoking decreases fusion rates. 2. Obesity leads to longer operative times, with increased complications and potential for infections. 3. Patients with psychiatric diagnoses such as depression, bipolar syndrome, and anxiety disorders have poorer outcomes. 4. Underlying litigation, including disability determination, workers compensation issues, and liability claims are associated with poorer outcomes. 5. Multi-level diffuse disease also leads to less predictable lumbar spinal fusion outcomes. While many patients are having significant back pains, the option of spinal fusion should be reserved for patients that have the best expectation of a successful outcome. If you are contemplating such a surgery, make sure you explore all your options before making the decision.